Two years ago Josie Talbot had stopped enjoying riding her bike, not even wanting to compete the 2014 Junior Track World Championships, where she would claim the junior team pursuit world title and two bronze medals. Having taken the best part of a year off the bike Talbot headed to the United States to study and race in the second half of 2015. 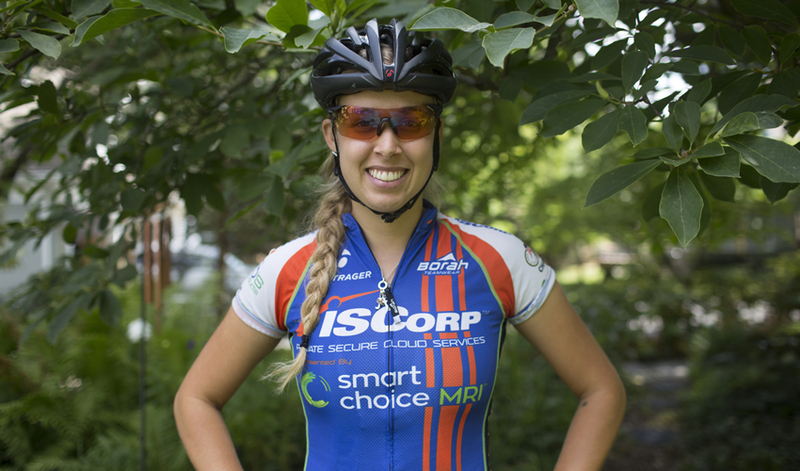 With the full 2016 road season in her legs with ISCorp Cycling p/b Smart Choice MRI, where Talbot has found a role as a leadout rider, helping Schneider sisters Skylar and Samantha to considerable success. A role she credits with allowing her develop on the road. Currently back in Australia but eager for the 2017 season it is safe to say the now 20-year-old Talbot is as excited as ever for what is ahead on the bike. 2017 will see Talbot return to the US to race, but not before the Australian summer of cycling with a track return also on the horizon as she eyes the 2018 Gold Coast Commonwealth Games and 2020 Tokyo Olympic Games. Moved to the US in August last year to study and train looking back over the past year what has the experience been like? It's been amazing. I've made some great friends and got to see so much of what America has to offer. The racing was so much fun too! Two years ago you had fallen out of love with the sport and heading in to Junior Track Worlds in 2014 you didn't want to get back on the bike. Safe to say with a new experience you have found that enjoyment again? Yeah for sure. I had so much fun travelling the countryside and racing with my team this year. I would hate to think what I'd be doing if I hadn't have moved over to America. Has moving away from home to another country to live, study and race helped you grow and mature as a person? Of course. Doing anything or going anywhere without your parents is going to force you to grow up a bit. I've always been fairly independent though, so it was an easy adjustment. You have spent the year racing with ISCorp Cycling p/b Smart Choice MRI supporting the Schneider sisters and entire team to a lot of success how did the season go for you? Aside from the unbelievable amount of success we had as a team I think I was able to develop in my racing so much. I was predominately the last lead out rider and just being able to have a specific job, and to get better and better at it helped my racing so much. It even allowed me to podium a couple of times. Made the decision to return to Australia and but are planning to head back to the US in 2017 what do you most enjoy about the US racing? Yep, the thing that is drawing me back the most is my teammates and how easy and fun it was to live and race alongside them. You have raced domestically in Australia as well how does it compare to the US? Like they say everything is always bigger and better in America. It just seemed as though there was more money, more spectators and more fun in and surrounding the races. New Olympic cycle has started as a junior you were one of the top riders on the track is getting back on the track a goal for you? Yeah, I'd be stupid not to race the track. I enjoy having success on the track plus it helps my sprinting and road race finishes a lot. Having been away from the track and national program for a few years do you feel you are on the back foot with other riders continuing to come though and pushing for selection? Definitely. No one (even myself) knows what I am capable of in the elite ranks. There are going to be a lot of girls going for selection now with more juniors moving up so it'll be as hard as ever to get their attention. Commonwealth Games on the Gold Coast in two years something you are looking towards? Two years is a relatively short amount of time so I guess we'll see how everything goes. The announcement last week of the women's team pursuit being added to the Commonwealth Games and a Madison at world level a big step forward for women's cycling? Yes, now us girls have a team pursuit team to aim for every two years instead of just every four. That along with the Madison becoming a championship event really is a step forward! Although, there are areas that are lacking more than our track events, such as an u23 women's road race? I think that race could have the potential to be one of the most competitive world championship events. Four years is a long time but competing in Tokyo in 2020 is your big focus? I hate thinking so far into the future but yeah, the Olympics is something you dream of as a little kid and I'd definitely regret it if I didn't give it a crack. Dual junior national champion in the omnium is that something you would like to put your hand up for as well? I used to love the omnium event, but now that they've changed the format twice since I raced the event I think it is a bit of a joke. The event is no longer a determination of the best all-rounder because the four events are very very similar. I am all for opening cycling up to be a more spectator friendly sport but this has taken it a bit too far. Have seen a change in the omnium format taking out the timed events and having four bunch races in one day. You have always been very good in bunch races with a quick sprint what are your thoughts on the change? Following on from the last question. I actually enjoyed the timed events the most. The flying lap was always fun because we got to pretend we were fast sprinters for a lap and then the 500m TT as the last event really put some burn into the legs which felt the best to finish off with after a tough two days of racing. You came home over December and January but this will be your first time back in the country for a while what are you most looking forward to? Good coffee! And mum's cooking!